KUALA LUMPUR, 26 March 2019 – Naza Kia Malaysia, the official distributor of Kia vehicles in Malaysia, officially introduces the latest variant to their family sedan range – the New Optima EX which builds on the charismatic Optima line’s distinctive design, performance, innovative technology and ample comfort. 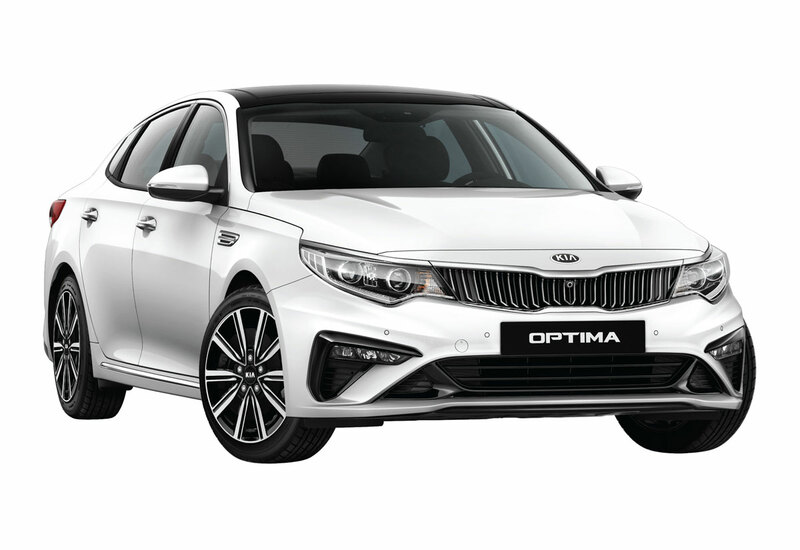 The New Optima EX comes with a fresh new take to complement the Optima GT of the range currently available and injects an enjoyable driving experience that plays on all the senses. “The New Optima EX with upgraded features makes a good addition to our Optima range with its bold style, performance and added feature, the Around View Monitor (AVM) system which is not found in the predecessor,” said Dato’ Samson Anand George, Group Chief Executive Officer, Automotive Group, Naza Corporation Holdings. “The striking design and upgraded features of this well-rounded sedan easily sets it apart from others in the same segment and gives great value for money at this price tag,” he added. Powered by Nu 2.0L CVVL engine, the New Optima EX features a 6-speed Automatic Transmission for better fuel efficiency and an enhanced driving pleasure. Running on 17-inch alloy wheels, the New Optima EX is fitted with new features such as LED headlamps, fog lamps and rear combination lamps. The face of the New Optima EX is accentuated by a stylish vertical intaglio grille and on the back further sports new rear combination lamps and decoration to the vehicle, portraying a fierce and masculine look overall. The vehicle’s thoughtful design lends convenience in the form of power memory for the driver seat, electric parking brake, smart key, push start button and a large 7.0-inch colour screen display, audio compatibility with Apple CarPlay™ and Android Auto™ and an Around View Monitor (AVM) camera which utilises four cameras located at the front, rear, left and right of the car. This system provides the driver with a 360-degree view of their car’s surroundings, making parking manoeuvre a breeze. The New Optima EX is available in a variety of colours which includes Aurora Black Pearl, Snow White Pearl and Platinum Graphite. Mated to the exterior palette is the overall black interior and further enhancing that visual appeal is the lush double Rachel black fabric for the seats. The New Optima EX is priced at RM139,888 on-the-road without insurance.